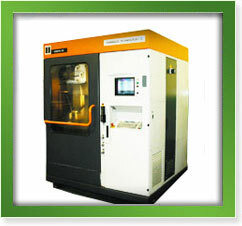 Wire EDM services started in 1985. 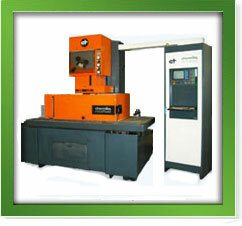 We now feature 3 CNC wire EDM’s that utilize System 3R +/-.0002 accuracy fixturing. Charmille Small Hole EDM – .01dia. to .19dia. size range; X=13.8″, Y=9.8″, Z=13.8″ travel, .0005 positioning accuracy. (2) Charmille Robofill 400 – with Fastcut; X=12.5″, Y=17.5″, Z=17″ travel, up to 55 deg. Taper, .0001 tolerance. 1763 lb. weight capacity. 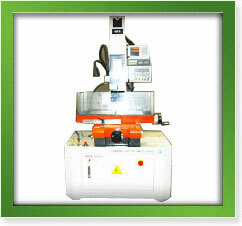 Charmille Robofill 310 – Programmable 5-Axis control; X=15.75″, Y=9.85″, Z=15.75″ travel, up to 30deg. Taper, .0001 Tolerance. Our in-depth knowledge of injection molding ensures a mold design and build that adds value to our molds for our customers in the form of faster molding cycles, extended tool life, high performance, precise dimensional integrity and minimum down time for maintenance. No wonder leading companies in the medical, electrical, telecommunications, fastener, consumer and industrial markets specify Wilderness Mold for their demanding applications. Northbound: left at the end of the ramp, cross over I-91, right onto Routes 5 & 10 North (West Street). Southbound: right at the end of ramp onto Route 5 & 10 North (West Street) Wilderness Mold is approximately 4/10 of a mile on the left. SciTech Plastics Group companies meticulously maintain and test their equipment while constantly investing in new hardware and software to stay at the forefront of technology.